Trainer Matt Dunn is confident Sovereign Nation can carry his big weight in the Weetwood Handicap. Trainer Matt Dunn will feel his way this winter with proven stakes performer Sovereign Nation who resumes at Toowoomba. Sovereign Nation has drawn barrier one as he attempts to continue his good first-up record in Saturday’s Listed $150,000 Weetwood Handicap. 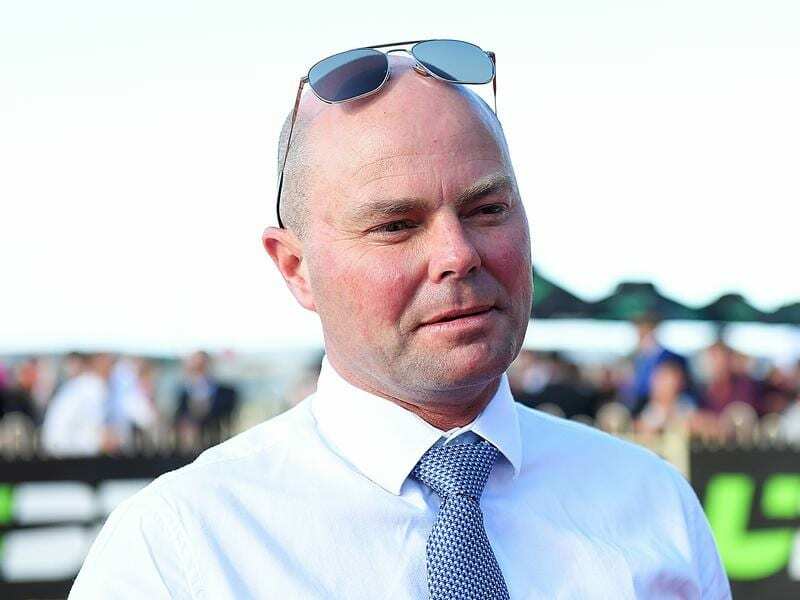 It is part of a two-state feature race assault by Dunn who also has Australian Oaks hopeful Rocknavar running in the Adrian Knox Stakes and La Scopa in the Country Championships Final at Randwick in Sydney. The Weetwood was once the domain of topweights with the biggest weight in the past 50 years being 60kg lumped by Group One mare Seawinnie in 1995. But only Kidman’s Cove (59.5kg) in 1997 has carried more than the 59kg Sovereign Nation will have to carry on Saturday. That statistic is skewed because the race was run for five years on a synthetic track and did not attract genuine stakes class horses. Sovereign Nation fits the bill as a genuine Group horse and has earned his big weight with a second in the 2017 Group One Toorak Handicap and fourth in that year’s Rupert Clarke Stakes as well as an earlier fourth in the Caulfield Guineas. Originally trained by the David Hayes, Ben Hayes and Tom Dabernig partnership, Sovereign Nation has been with Dunn at Murwillumbah since late last year. His only run for Dunn resulted in a strong finishing second to Balboa Rocks in the Listed Sunshine Coast Cup on January 26. After that, Dunn decided to give Sovereign Nation a break with the winter carnival in mind. “On his best form he is a class horse. I know the Weetwood hasn’t been for horses near the top of the weights in recent times but really few of them have done what he has achieved,” Dunn said. Dunn said Sovereign Nation would press on to the Prime Ministers Cup at the Gold Coast on May 2. “But after that we will have to feel our way,” he said. Ryan Maloney will ride Sovereign Nation and Dunn is keen for him to stick with the gelding in the winter. “He is a big-race jockey and you need that to win the big races,” Dunn said.